Let's face it. Italian food isn't exactly known for being vegetarian-friendly. That reputation changes with this recipe for a completely meatless yet hearty sauce, also known as bolognese. This sauce is typically filled with ground beef or other protein, cooked at a low heat slowly for hours, and ladled on top of al dente spaghetti. The recipe below substitutes ground baby portobello and shiitake mushrooms to provide a beef-like texture, while a plethora of other veggies are added to make a bolognese like you've never tasted. The longer you let the ingredients marinate together, the more flavorful the sauce will be. 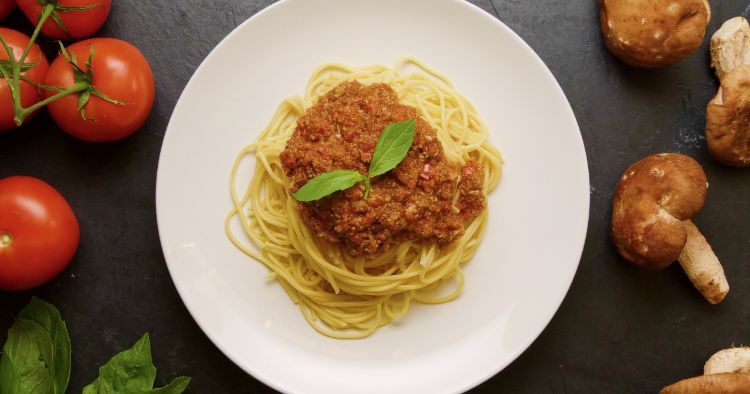 Even the most die-hard bolognese fans will drop to their knees when they take their first bite of this meatless wonder. Feel free to add any other vegetables you like to the sauce. You can keep it vegan by not garnishing it with parmesan cheese. It's the right recipe to make for finicky kids or spouses who need to get more veggies in their diet. With just one pot for preparation and cooking, cleanup is a breeze. In a food processor, add the chopped baby portobello and shiitake mushrooms. Pulse to combine the two together until finely minced, about the consistency of ground beef. Place the mushroom mixture in a large pan or skillet. 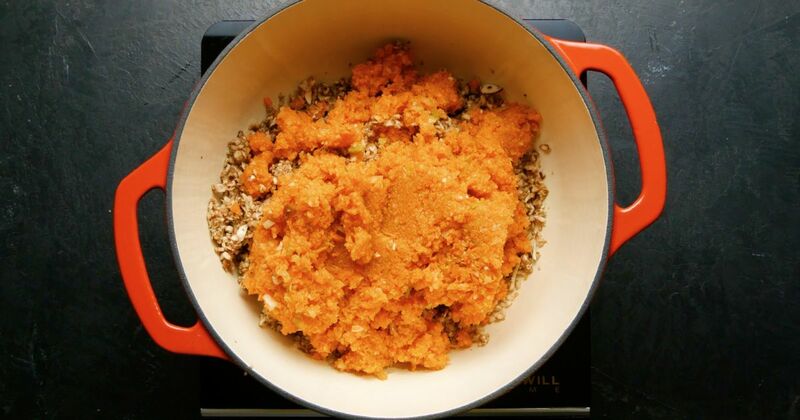 Add celery, carrots, onion and garlic cloves to the food processor, and pulse until vegetables are combined and finely minced. Transfer the vegetable mash to the skillet with the mushrooms. Season the vegetables with a pinch of salt and black pepper. Add olive oil to the skillet, and place it over medium-high heat. Sauté the vegetables until they start to sweat. Cover the skillet and reduce heat to medium. Cook the vegetables together until they are fully cooked down, about 20 minutes. While the vegetables are cooking, add the canned tomatoes to the food processor, and pulse until they are smooth and blended. Add the puréed tomatoes to the skillet, and stir to combine. Loosely cover the skillet and allow sauce to simmer for 5 minutes. Add the dried basil, oregano and sugar to the skillet, and stir to combine. Taste for seasoning and adjust using salt, pepper and sugar. Serve a large ladle of hot bolognese sauce atop a bowl of al-dente spaghetti, and garnish with fresh basil and/or grated parmesan cheese. Serve immediately.